Saint John Paul II wrote that “mercy is an indispensable dimension of love, as if it is love’s second name,” and affirmed the teaching of the Church that “mercy is the greatest of the attributes and perfections of God.” In other words, God’s Divine Mercy is infinite and can never be limited by human sin and his love will never falter no matter how many times we fail. Besides the image he also gave her other channels for the outpouring of his mercy which include: The Feast of Mercy (Divine Mercy Sunday), the Chaplet, the Novena to The Divine Mercy and prayer at three o’clock, the Hour of Great Mercy. 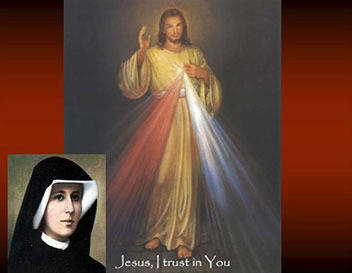 The Eucharistic Apostles of Divine Mercy are dedicated to continuing the work of St Faustina. The group has been in existence since 2005. 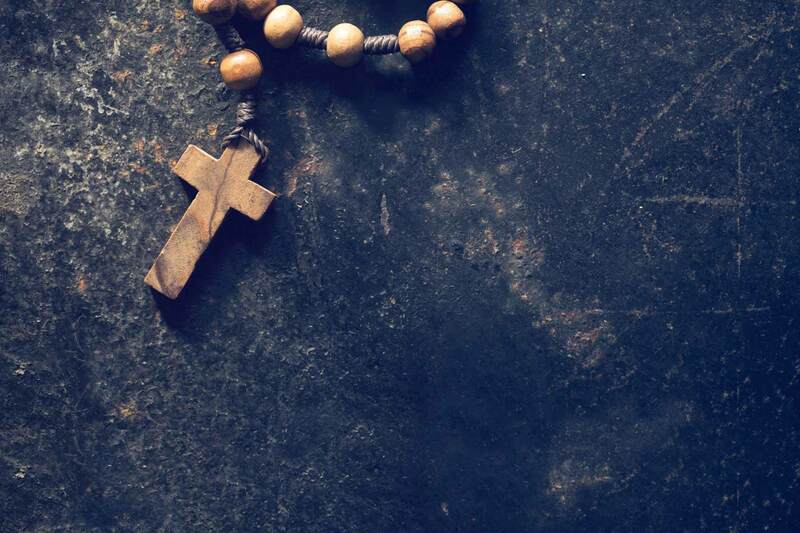 It is an informal group that meets weekly on Tuesday at 6:30 PM to pray the Chaplet and the Rosary asking for God’s mercy and forgiveness on us and the whole world. Particular intentions that are prayed for are for: those who left the church; peace in the world; souls in purgatory; the sick and dying; those requested by those in attendance and also for the prayer intentions that are entered in the prayer intention box located in the vestibule. Those who attend this prayer session enjoy the peace and strength they gain in spending one hour in prayer. Make time, please join us, all are welcomed. We particularly invite all those who are in need of prayers.